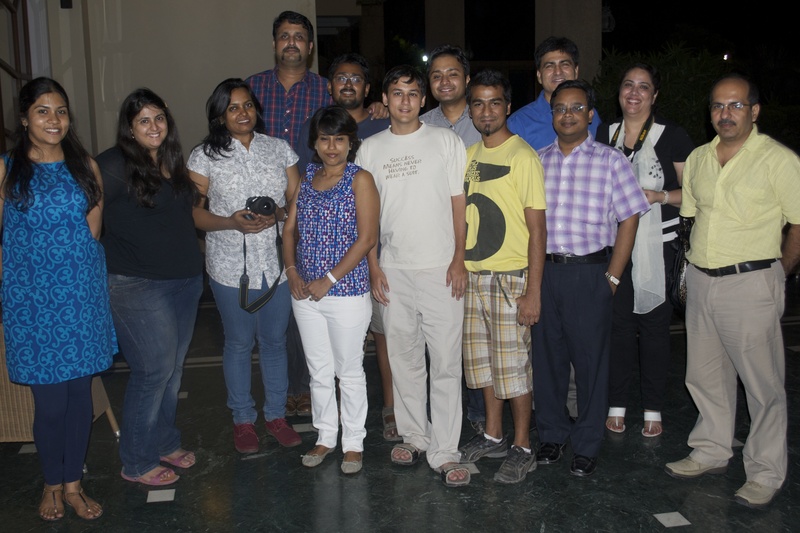 It’s always fun to meet new bloggers and it’s even more fun to do it over good food. At the South Indian food festival in Blooms, I met Ruchira and Sushmita for the first time, and of course Sid, Rekha, Sangeeta, and Belly Centric. We missed Parul! 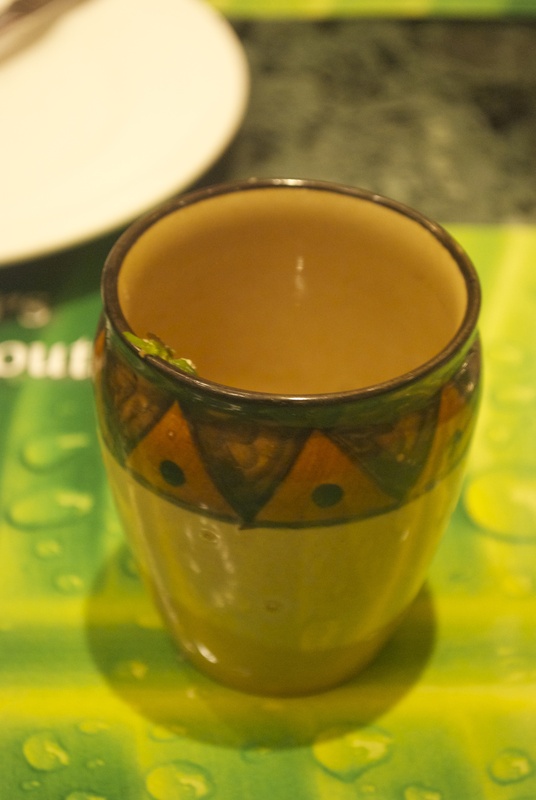 The evening started with some delicious mor– a spiced buttermilk drink. I think I had about 10 glasses in the course of the evening. Oh look- I need another right about now. 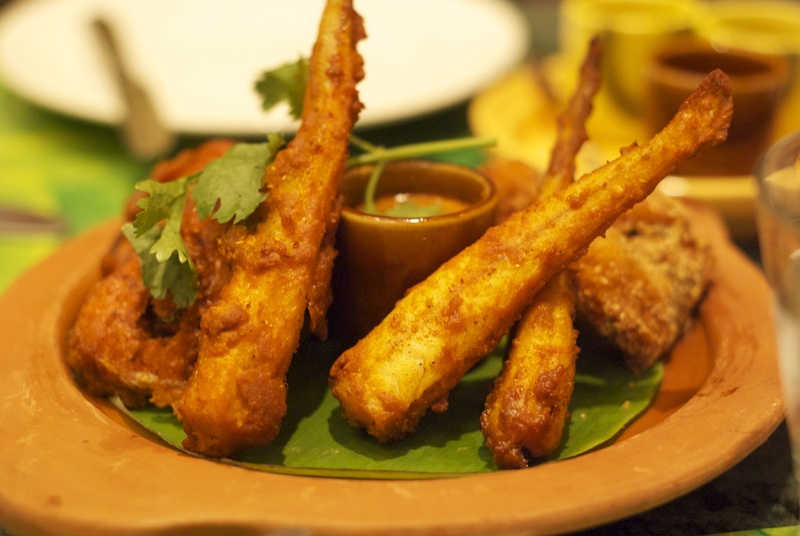 This was followed by an assortment of fried items- veggies, prawns, and fish. Some moist and flaky steamed fish, anyone? There was a whole host of curries and rice to try, including Allepey prawn curry (Fresh prawns simmered in raw mango and coconut gravy) and Khuska sadam (fragrant basmati rice cooked in robust mutton stock). What I enjoyed most though, were the live stations. 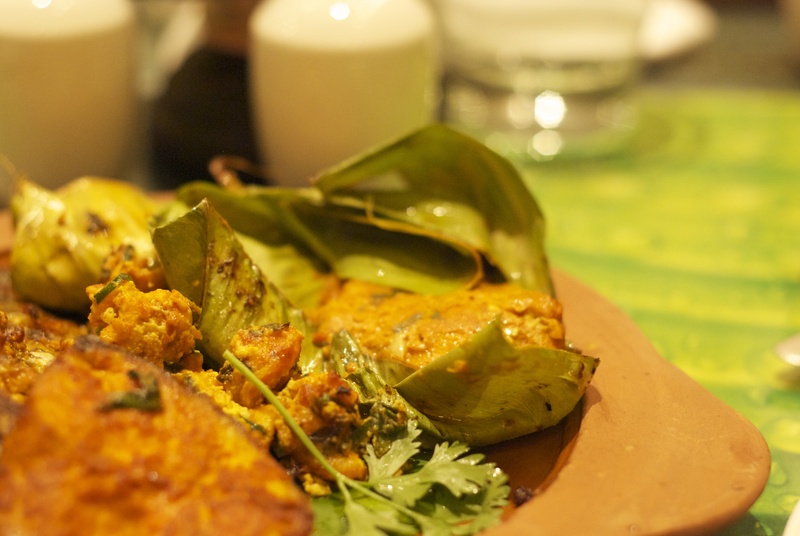 Here I had Kothu Parotta which the chef informed us was a way to use up leftovers. 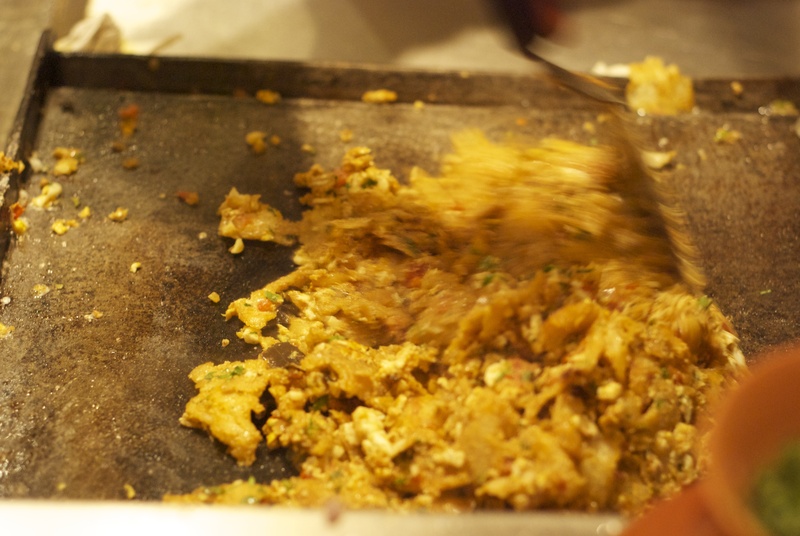 Old parathas and leftover meat and veggies are mixed and chopped up vigorously with some egg. It’s rather delicious. The chef is whipping up some for us here. 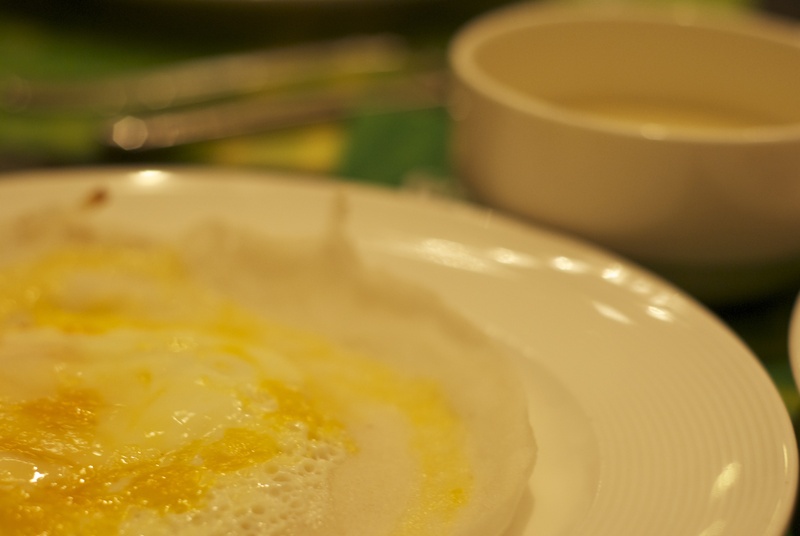 Another favourite was the egg appam with chicken stew. The stew was excellent: warm and coconut-ty, it reminded me of home. After some sinful desserts which included Mysore pak (gram flour and milk based dried cake) and Godumei haluwa (whole wheat and milk based pudding with clarified butter) Sid handed out some free books! This is the one I got: The Taj Conspiracy. Looking forward to reading it. I haven’t read a good thriller in a while. itt lookks finee buut wwhen oening inn Internwt Explorer, itt hhas ѕome overdlapping issues. heads սp! Apzrt frm that, gresat blog! In the modern age bifocals presents co many types such as a material called non crystalline. moisturizer and primer. In order for the electric current to energize the gas in a fast manner, a good power source is needed. 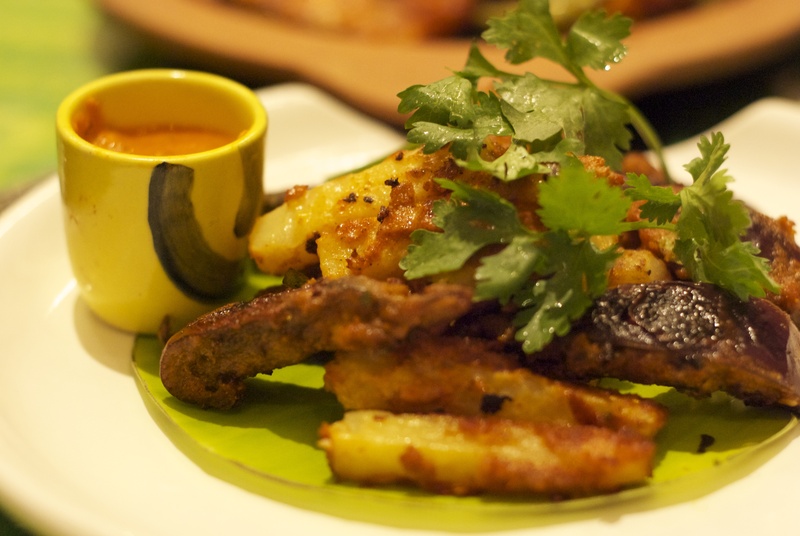 ← 10 things I’ve learnt about food blogging and a giveaway!